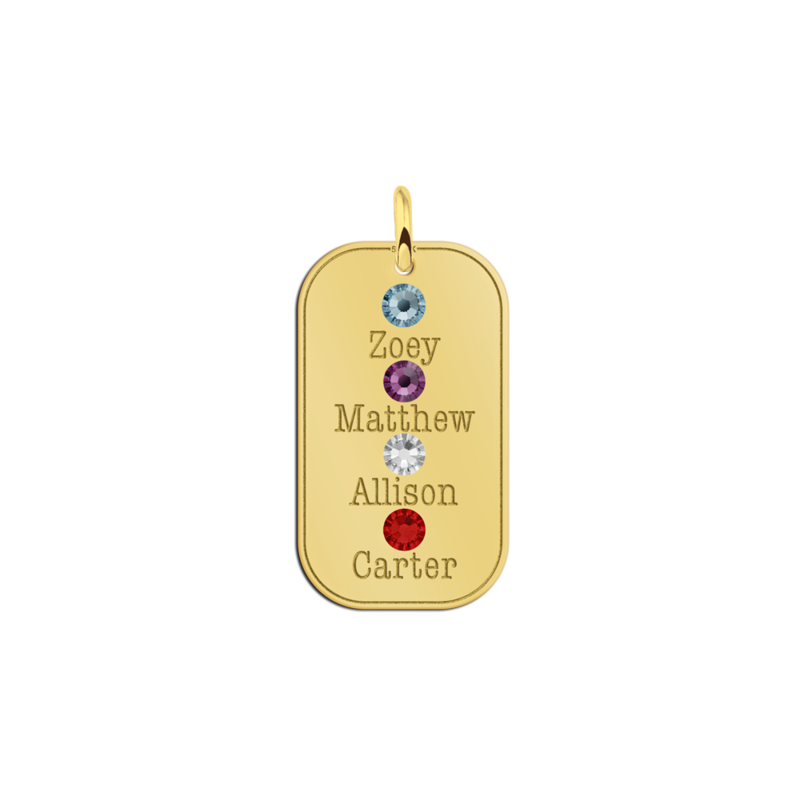 Our birthstones are made in several colors. 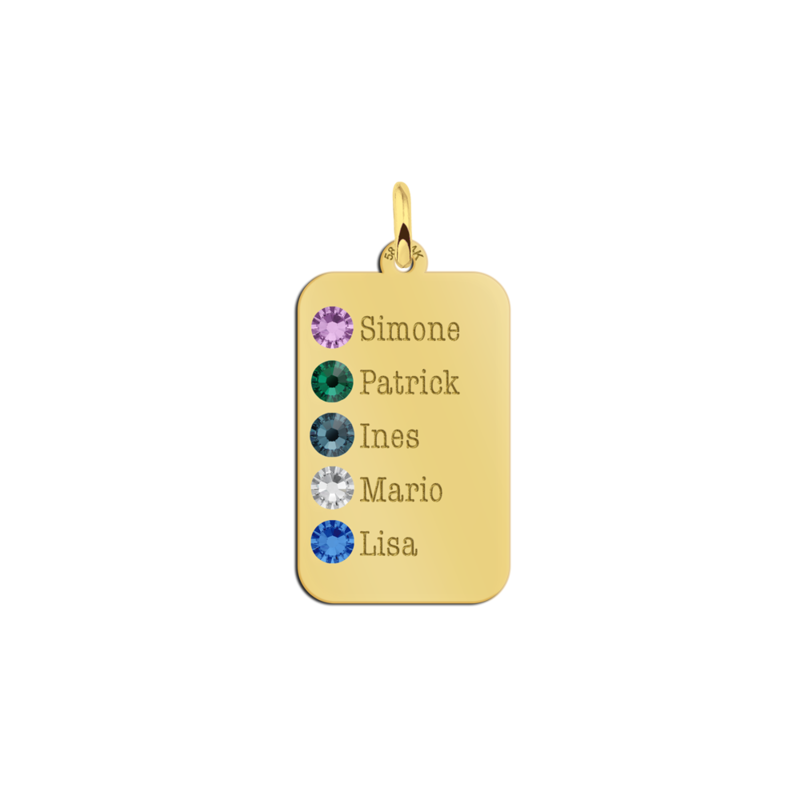 And for each month we have an own color birthstone. 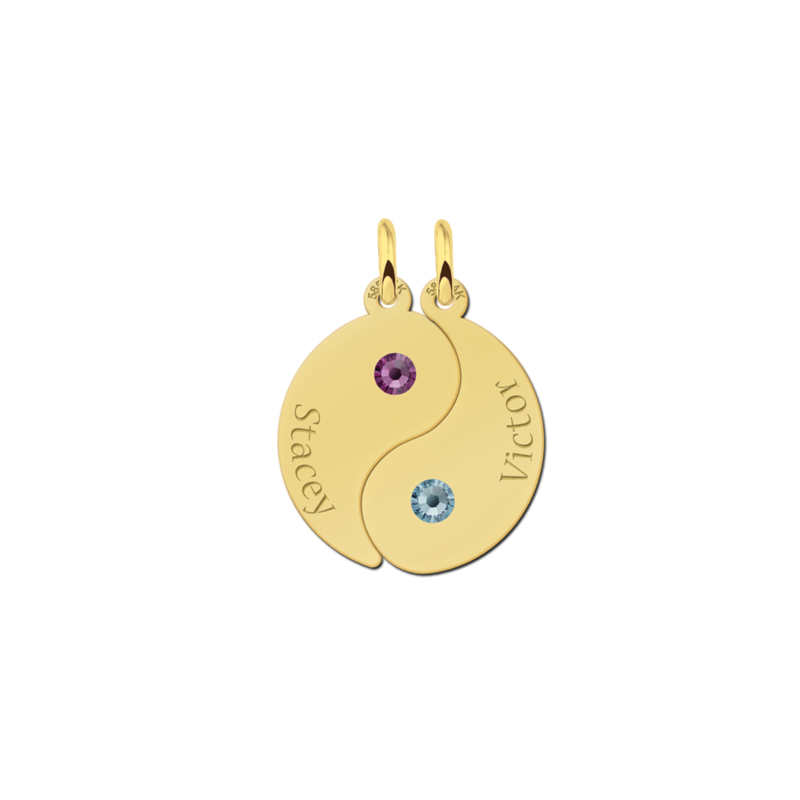 And of course you know you zodiac, but do you know the color of your birthstone? Luckily we have already mentioned the birthstone’s color for each month. 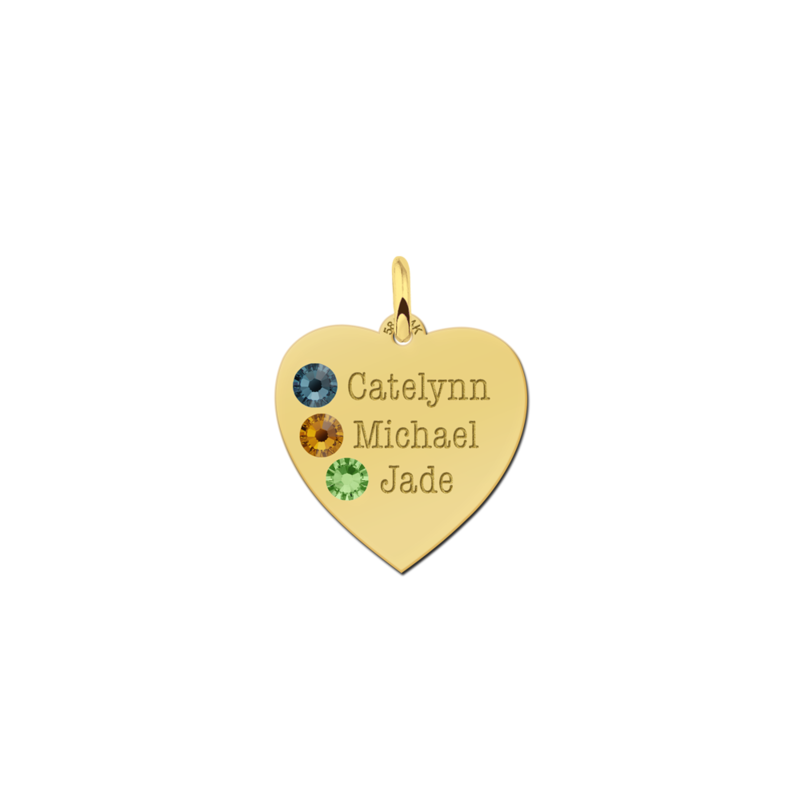 And you can select the birthstone in a lot of our golden pendants. 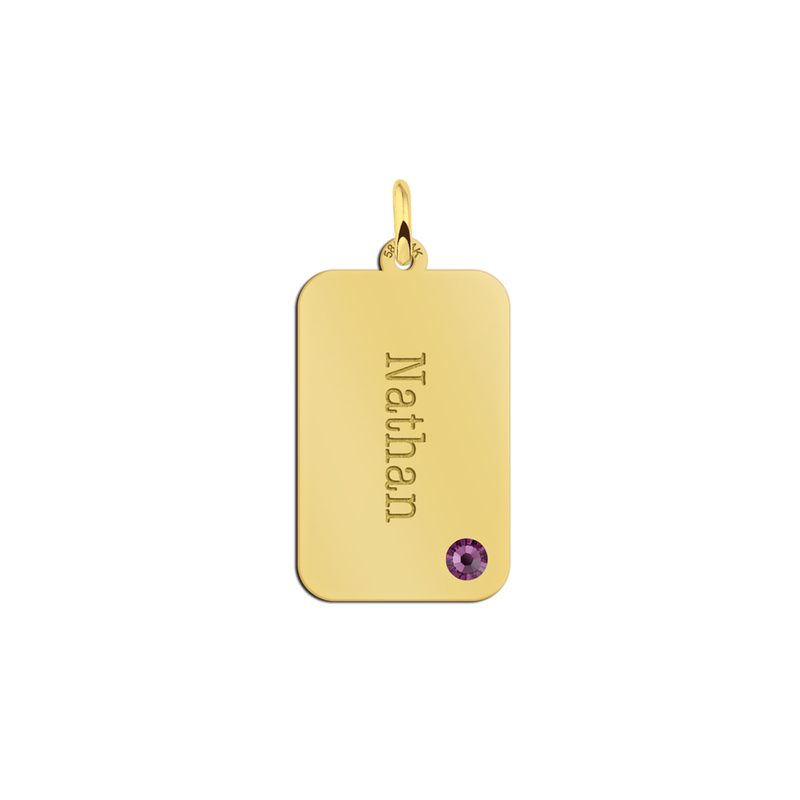 After we’ve used the birthstone in pendant, we will engrave the name of your choice in the pendant to personalise it even further. 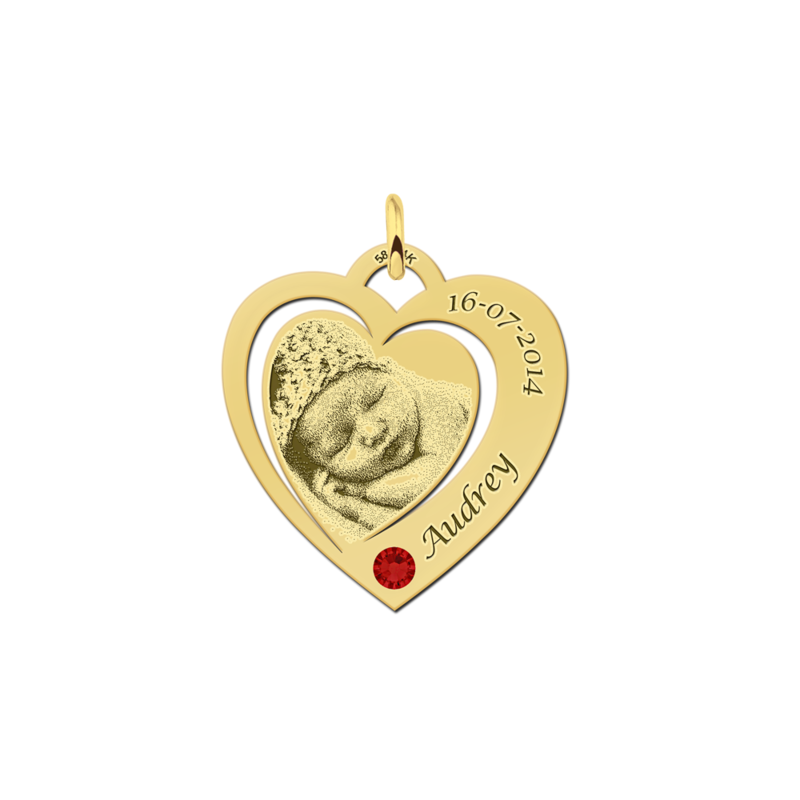 We have several golden pendant models and each of them has a different look. We believe we have a model for everyone. 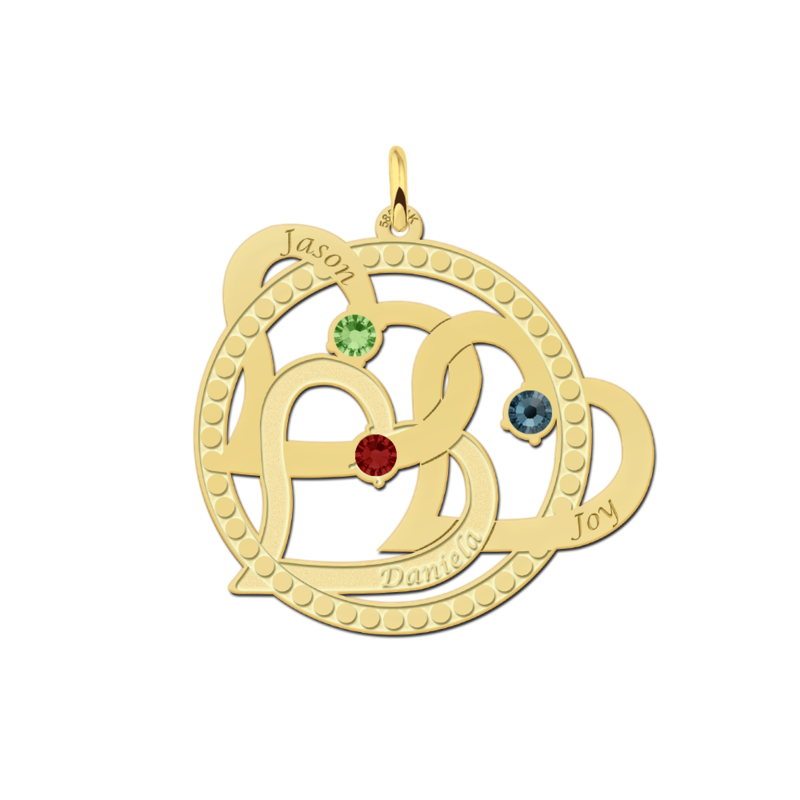 It makes you really happy, all those nice birthstone colors in a golden pendant. And besides of the colors, the birthstones have a true meaning, as they could for example stand for the birth months of your children. 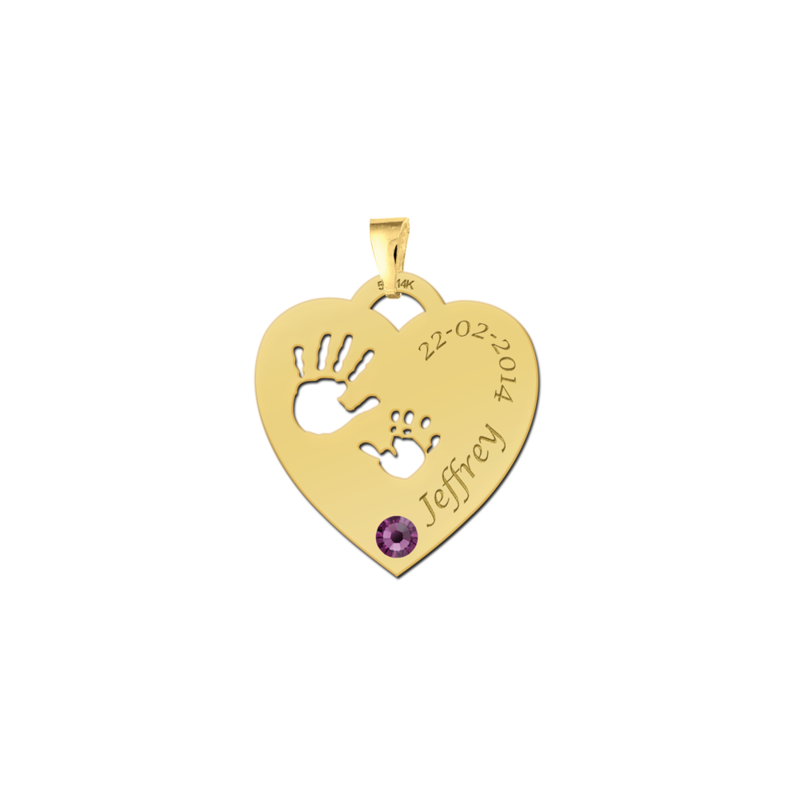 It’s a nice gesture, and besides that, you wear your children always close to your heart! Birthstone necklaces – carefully made for you! Our birthstone pendants of gold or silver are made from Swarovski crystal in the color of your birthstone. 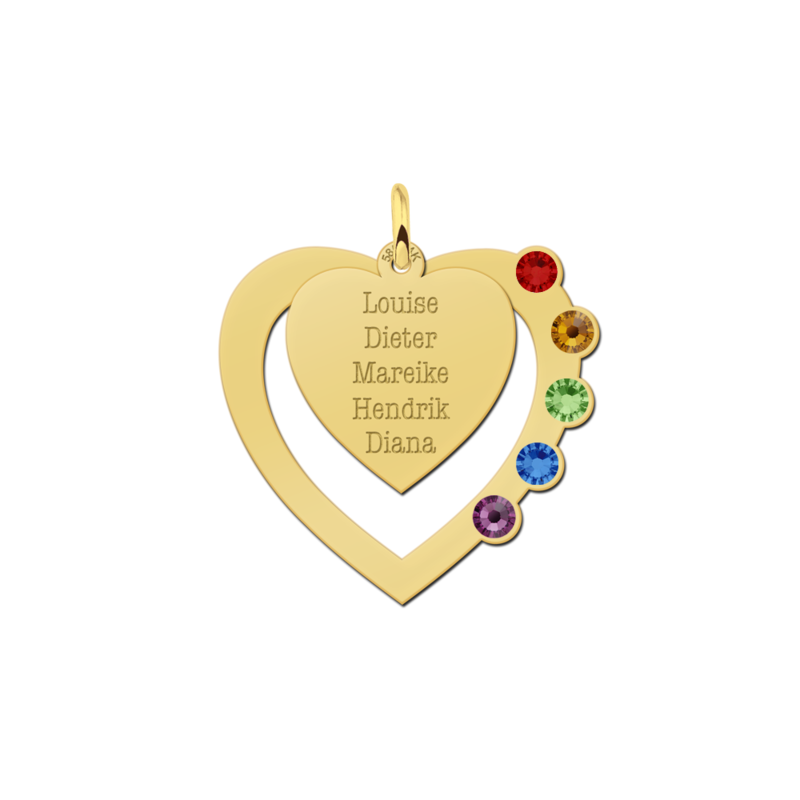 Besides the birthstones, you provide us the name or names you want to have next to the birthstone. 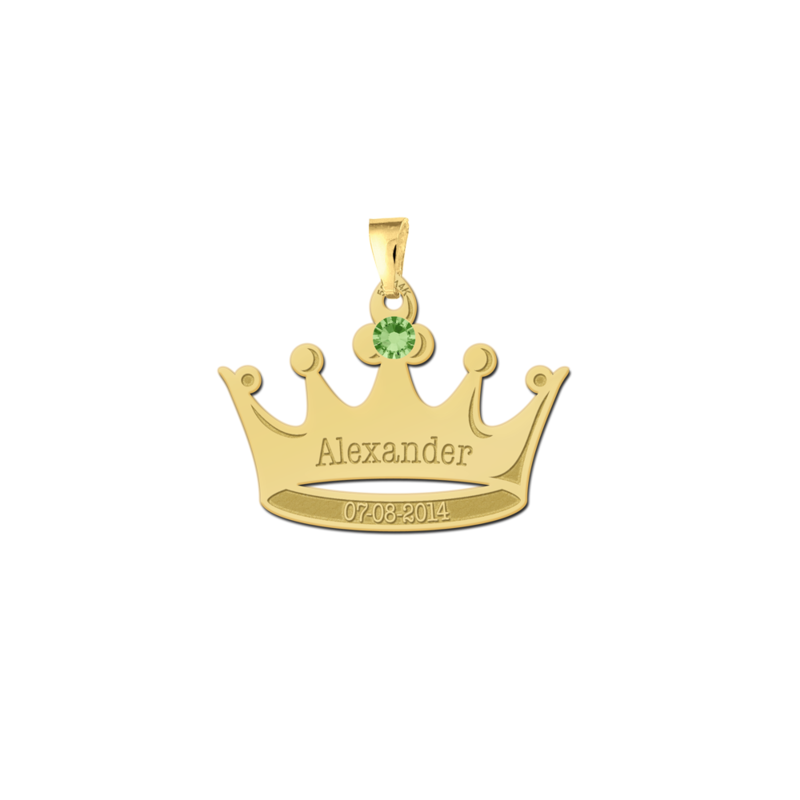 We will then create the pendant and engrave it with a lot of pleasure just for you! We have a wide selection of birthstone pendants in gold or in silver. 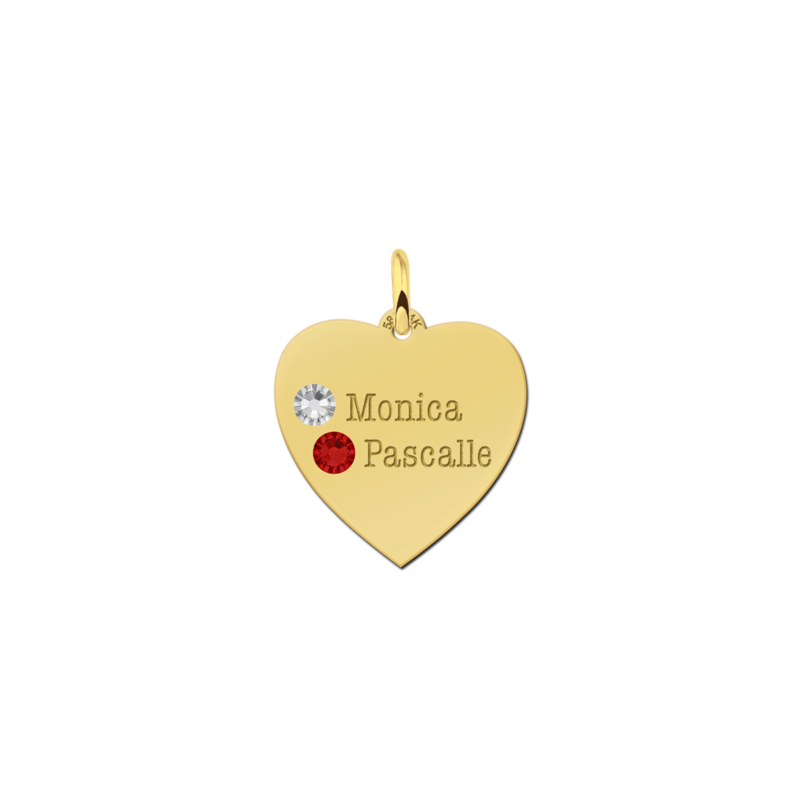 Every golden pendant is personalized by engraving it with the name or names of your choice. 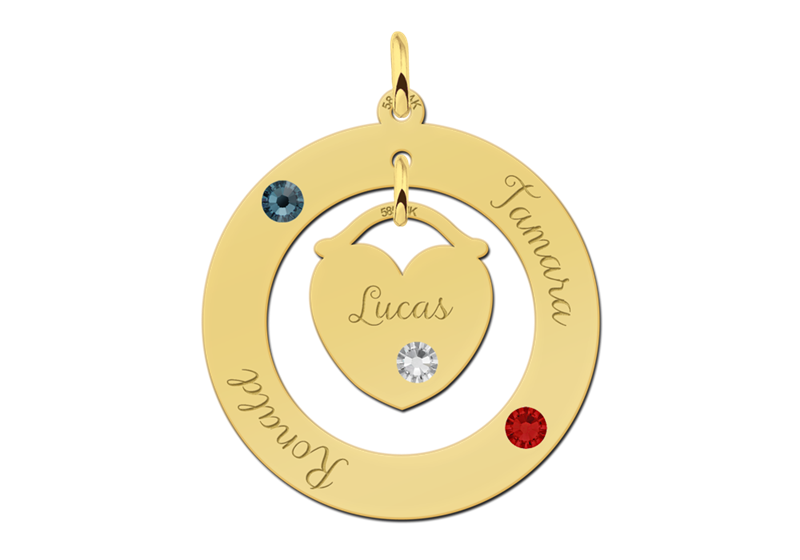 You could choose the name of yourself, or the name of your partner and combine it with his or your birthstone necklace of gold. You could also choose to engrave the name of your pet or favorite animal, or something totally different as a special moment in your life. 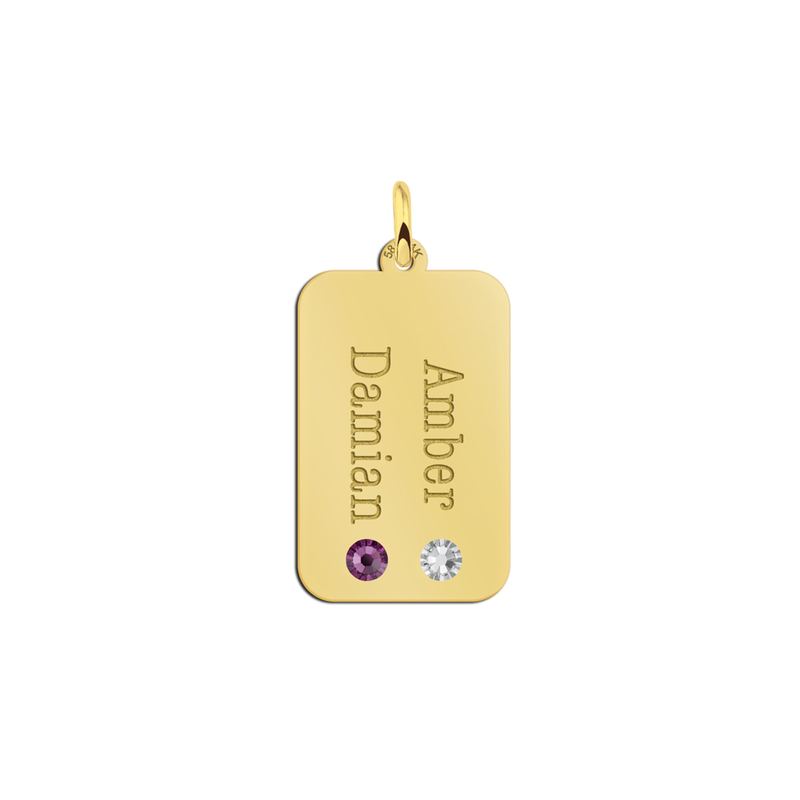 Choose the birthstone for that month and we will finish it with precision. 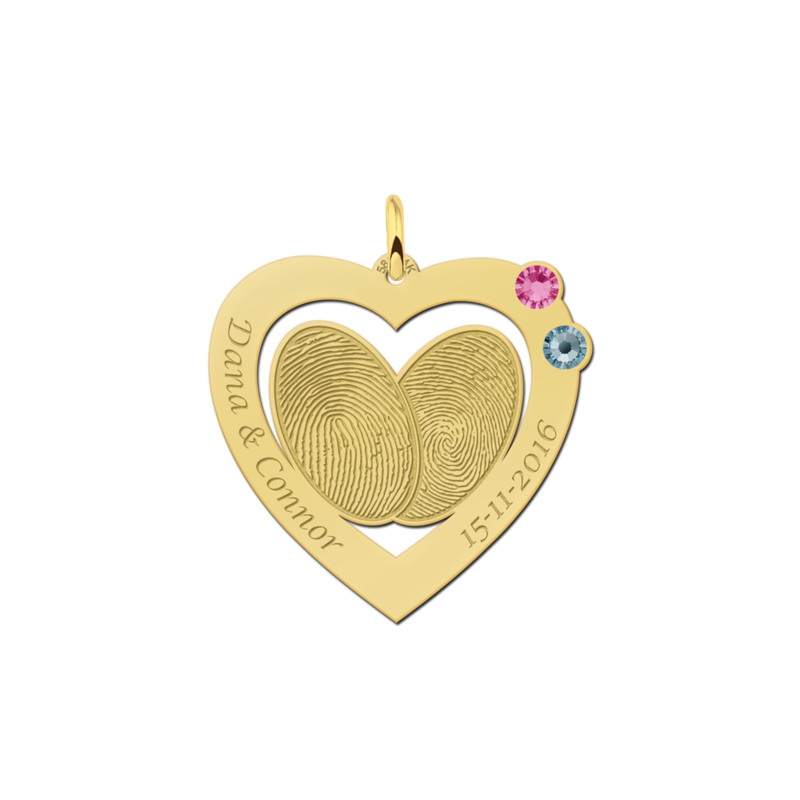 Your luxury and precious golden pendant with birthstone will be quickly ready to get worn by you. 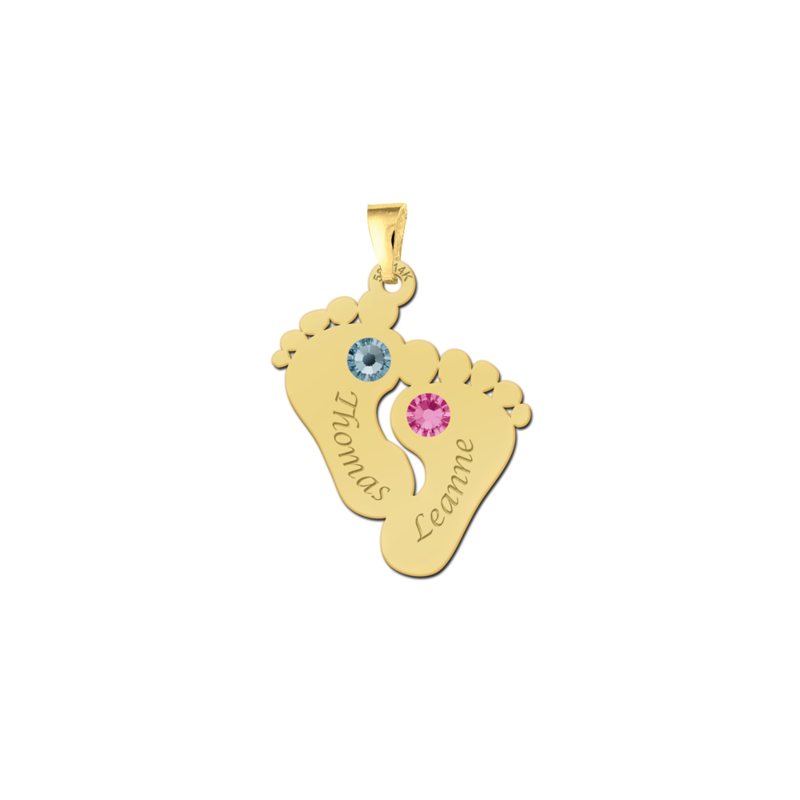 At Names4ever you can purchase birthstones for reasonable prices! 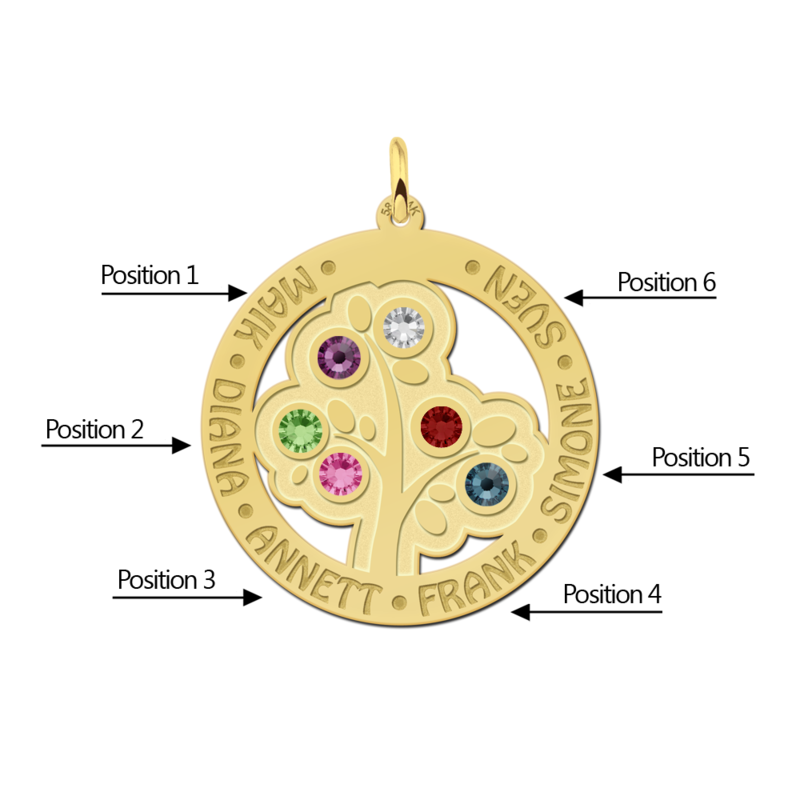 It is important to know that we have the widest selection of birthstones, which are as well reasonably priced. 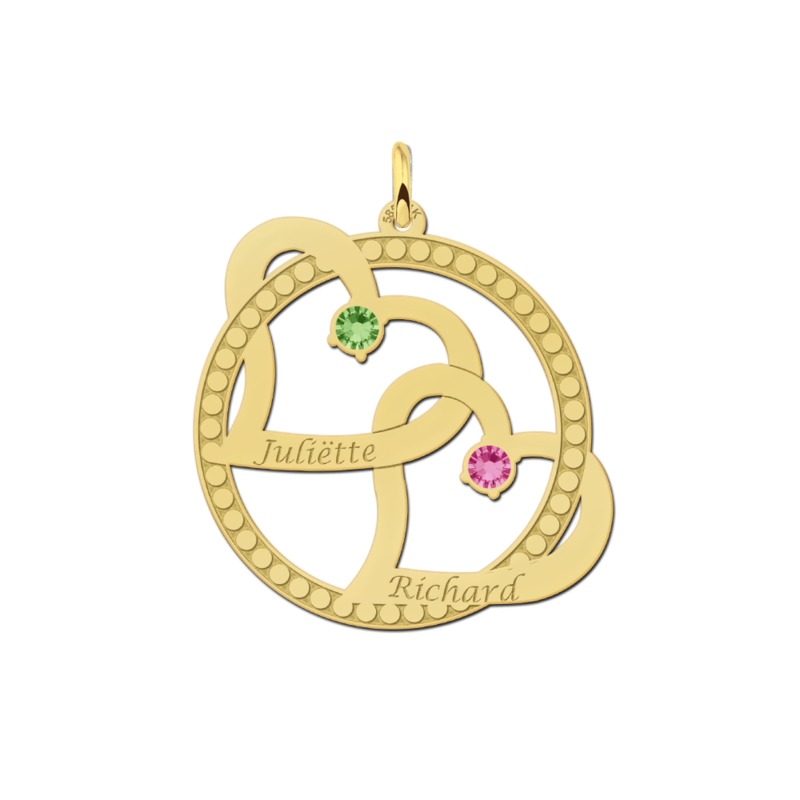 We produce all of our jewelry from 14 carat gold or 925 sterling silver. 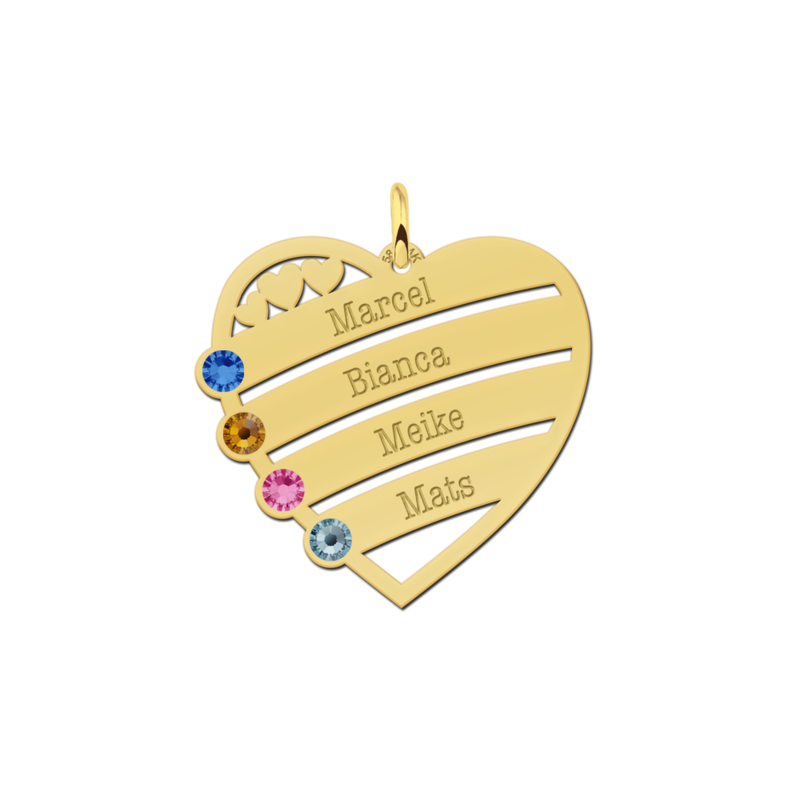 Our jewelry are 0.4mm thick and our birthstones are made from Swarovski crystal. Our pendants with birthstones are finished with precision and have the best quality. That is what makes our golden pendants with birthstones very popular. 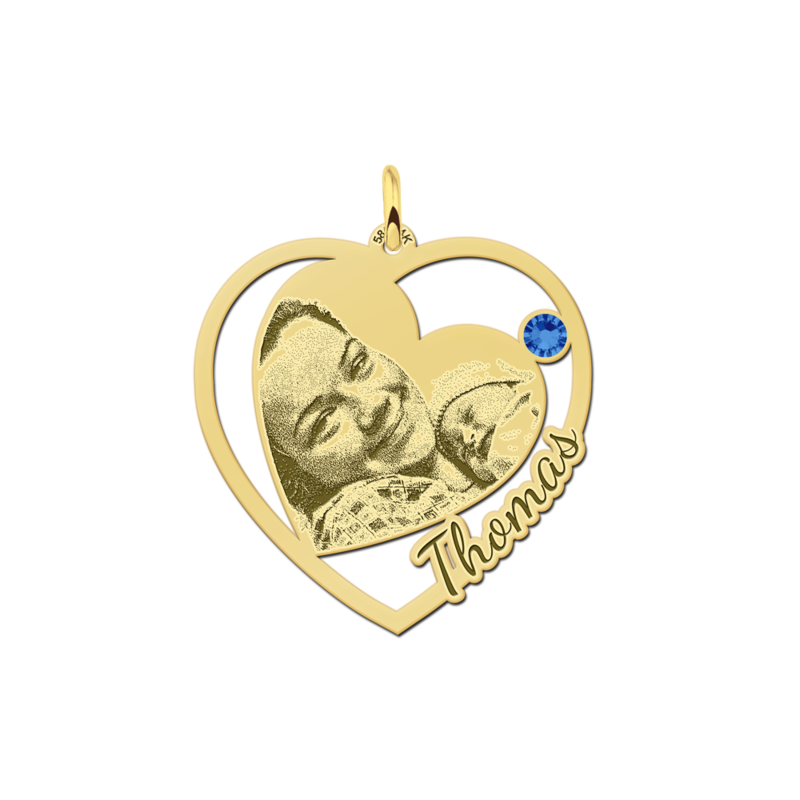 We have the widest selection and the combinations are endless. 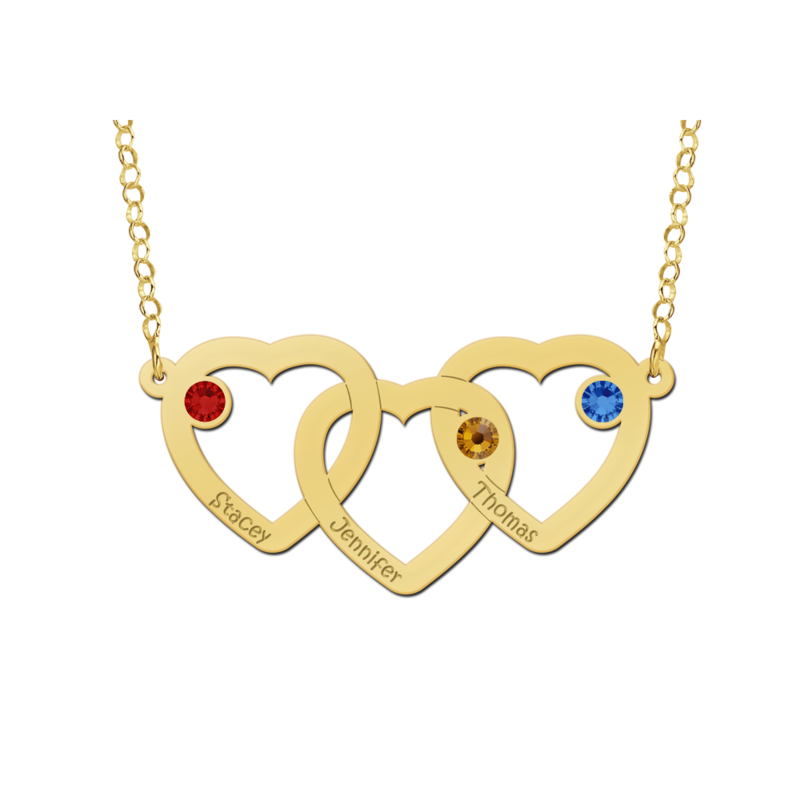 Choose your affordable birthstone and you will receive a magnificent birthstone necklace made from gold. 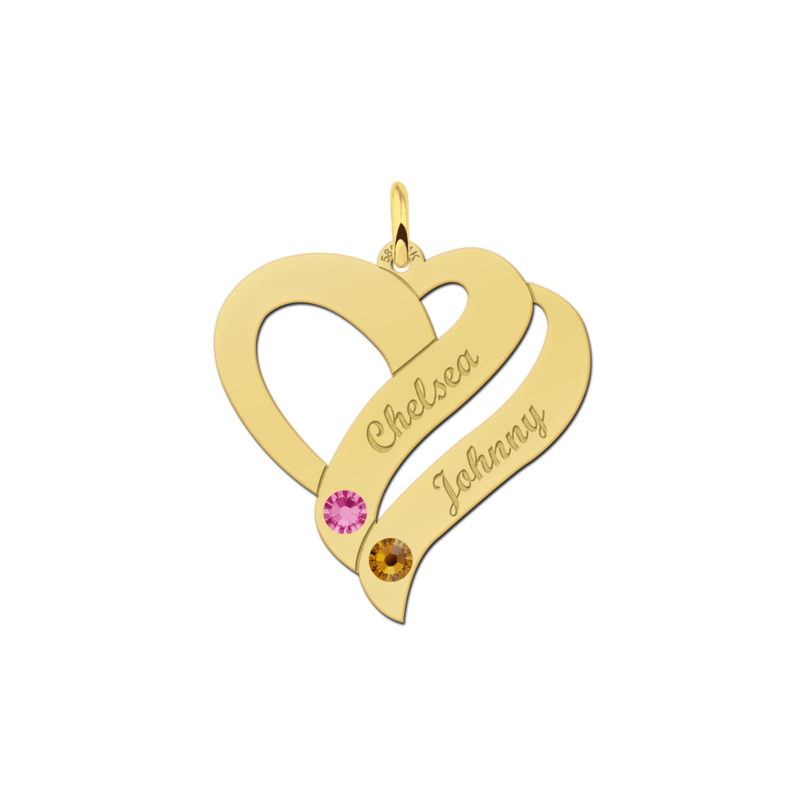 Golden jewelry are high end and look always beautiful! Our 14 carat yellow golden pendants with birthstones are very fashionable and can be combined well with silver, rosé gold or gold plated juwellery! The characteristics of Names4ever is that we produce all of our jewellery ourselves and we give each product our own dimension by personalising it for your needs. Our golden birthstones are tasteful, casual, fashionable, simple but have a classy look. 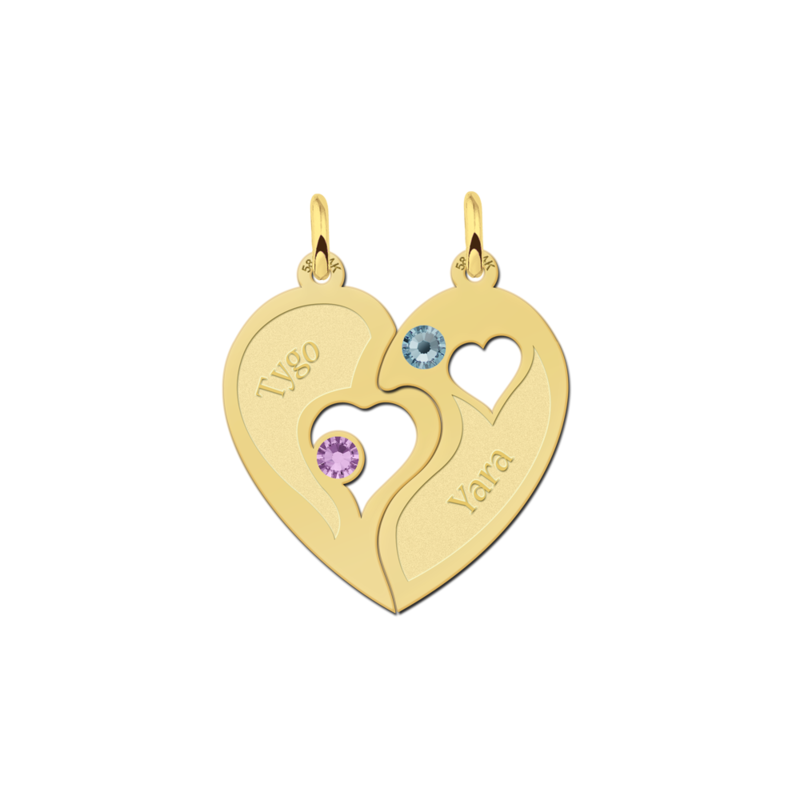 It is jewellery meant for you! These golden pendants with birthstones are made for charming ladies, the new mothers, the grandmothers, little children and even for men. 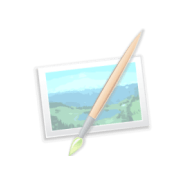 We have so many different models that everyone has a choice. 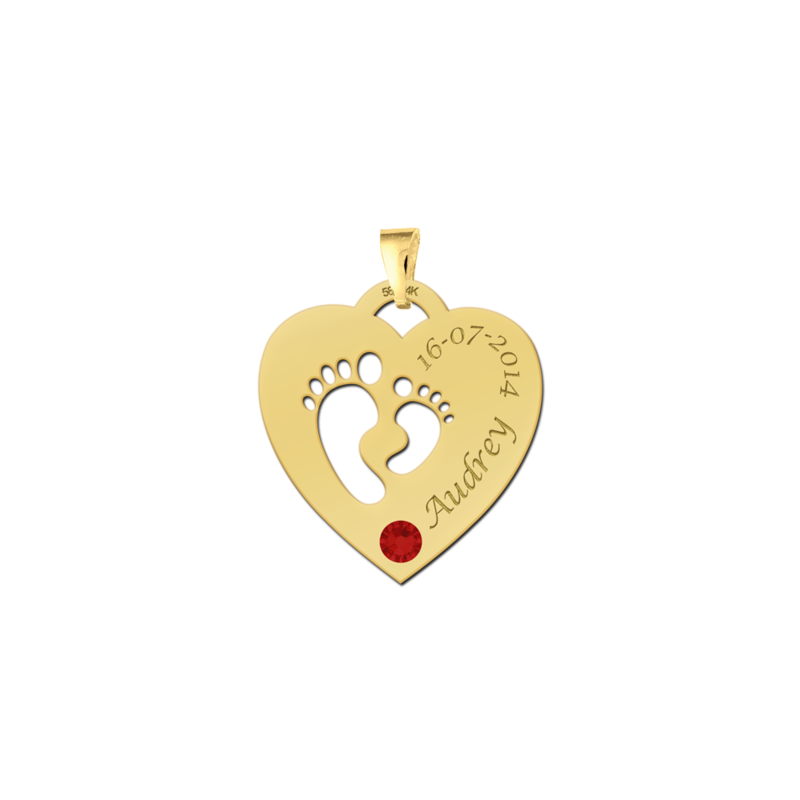 We really make the jewellery that you want!